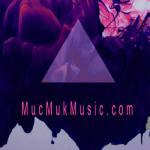 Sign up for Broadjam today to follow MucMuk Music, and be notified when they upload new stuff or update their news! This career has given me the pleasure of producing hybrid genres including but not limit to Urban Pop music to Hip Hop music in both East and West coast markets. I am adept in the full range of producing music in areas such as web games, video games, TV shows, movies/films, film scores, sound effects synchronizing, and sound mixing. For this reason, I would very much like to be considered as a strong candidate to fill a music producer position at your company. My portfolio showcases my musical talents on many mainstream television networks, record companies, and top award-winning music artists.